As a skincare fanatic, one of my goals is to be able to bare my face to the world, showing off a healthy, blemish-free face. While these days do happen every once in a while depending on my diet, stress levels, exercise habits and beauty routine, more often than not, I need a little help evening out my skin tone. Lately I’ve been using Jane Iredale’s PurePressed Base Mineral Foundation in Warm Sienna for featherlight, semi-matte coverage that allows my skin to breathe. Below is my “before” on the left and “after” on the right, taken inside and without Photoshop editing beyond increasing the exposure (because again, it was taken indoors under fluorescent lights and was kind of dark). You can see that I’m experiencing a decent skin week save for a few blemishes on my chin and some breakouts along my hairline that you can’t see thanks to my bangs. In the “before” picture, you can notice some redness, darkness under my eyes and the blemishes on my chin. 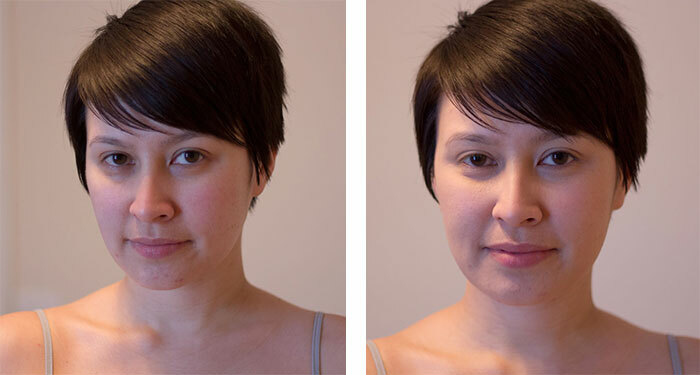 After a light application of just the Jane Iredale PurePressed Base Mineral Foundation in Warm Sienna, you can see in the “after” pictures how much more even and clear my skin looks! I love that I’m getting SPF 20 with this lightweight foundation, but I’m even more thrilled that I really can use only Jane Iredale’s PurePressed Base Mineral Foundation as a foundation, concealer, touch-up powder and SPF all in one. Talk about a multipurpose beauty product! I’m typically very ritualistic when it comes to applying cream concealer before a powder, but I took my chance with this testing period, and it was surprising to me how much “less is more” rang true here. I really didn’t need the additional layer of a cream base, and when you’re getting a decent skin day, it’s best to let it breathe as much as possible. Bonus points to Jane Iredale for making a lovely pressed mineral powder that eliminates the constant state of mineral makeup mess my sink is always experiencing. While I did receive a full-sized sample of Jane Iredale’s PurePressed Base Mineral Foundation to review, I’ve been a paying Jane Iredale customer for years and will happily repurchase this product. I’ve had great experiences with other Jane Iredale foundations in the past, and PurePressed Base is no exception! 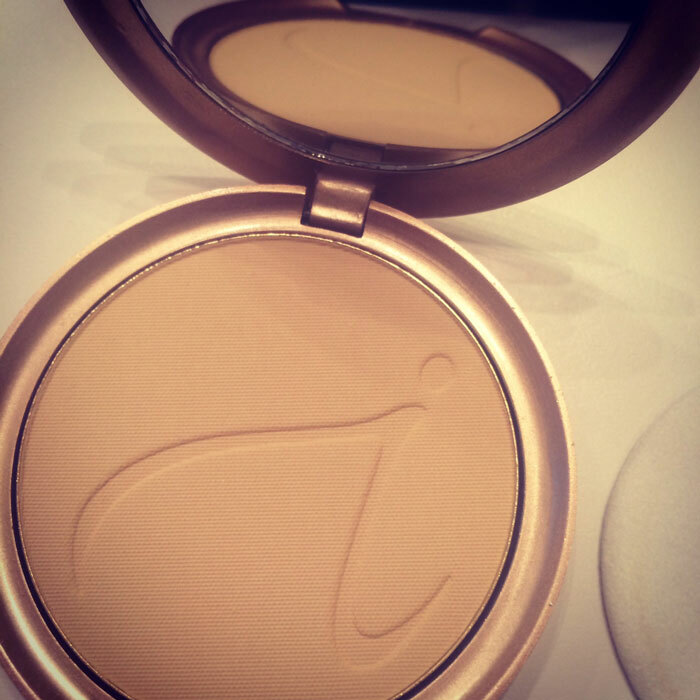 Have you tried Jane Iredale PurePressed Base Mineral Foundation? What are your favorite pressed powders? Tell me in the comments section!